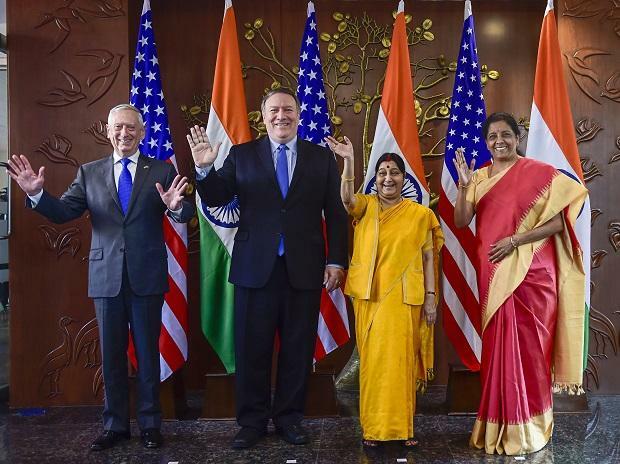 The signing of COMCASA is a landmark step in the US-India relationship as it facilitates 'interoperability' between the forces of the two countries, and potentially with other militaries as well, a top American business advocacy group has said. India and the US signed the path-breaking Communication Compatibility and Security Agreement (COMCASA) on Thursday which will allow Indian defence forces to receive military-grade communications equipment from America and ensure access to real-time encrypted information. The pact, which came into effect immediately and remain valid for a period of 10 years, will ensure interoperability among the US and the Indian armed forces. "The signing of COMCASA is a landmark step in the US-India relationship as it facilitates interoperability between the Indian and US forces, and potentially with other militaries as well. Industry has pushed for COMCASA for nearly a decade, as it will also facilitate additional defense sales to India," said Mukesh Aghi, president of the US India Strategic and Partnership Forum (USISPF). In a statement, the USISPF also congratulated Prime Minister Narendra Modi for his commitment to the relationship. "We also applaud US Secretary of Defense James Mattis, who helped make this agreement possible and who has been a relentless advocate for the bilateral relationship," he said. Both leaders understand the strategic importance of their partner country, and COMCASA is proof of their ongoing commitment to this partnership, Aghi said.